and please cc: me at [email protected]. 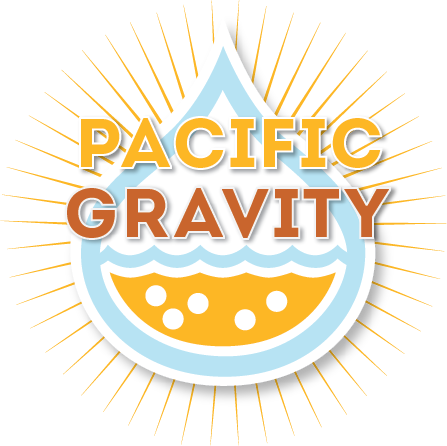 Jim has graciously held open a couple more seats for Pacific Gravity members. He will have more details coming out soon, but he wants to finalize the list NOW!. For a few of you existing judges wishing to advance to National or Master, you need to take the Written Proficiency Exam. John Aitchison, a National ranked judge from the Maltose Falcons is hosting a Written Proficiency Exam in May of 2014. Note that BJCP has changed the rules for taking this test, so check the details which you can find here: http://www.bjcp.org/docs/BJCP_Exam_Structure.pdf. Depending on the interest, I’ll be working up a study group to prepare for the on-line exam, which you must pass before qualifying for the tasting exam. Look for details in the next month or so. Want to be a BJCP beer judge? A good friend once wrote that becoming a beer judge is one of the best things you can do to brew better beer. You know what? He’s right! In the Beer Judge Certification Program (BJCP), this is a two step process. First, you take an online entry exam (details at http://www.bjcp.org/examcenter.php). When you pass, you take a Judging Exam and if all goes well, you’re a qualified beer judge! The Online Exam can be taken at any time from any location and costs $10. You have a 12 month window after you pass to take the Judging Exam. I’ve scheduled a Judging Exam to be given in the South Bay on Dec 6, 2014. Cost for a first time taker is $40. So, if you’re at square one, start studying and plan on taking the Online Exam no earlier than Jan 2014. Current BJCP judges can also retake the exam if they are striving toward a promotion. Cost for this and other retakes is $15. The basic Judging Exam allows 12 examinees. There’s an option for 20 that I’m working on in order to accommodate more aspiring judges. I’m confident it will happen, although it will be a little while before it’s confirmed. If you’re interested, or if you have questions, contact me at jim7258 (at) gmail dot com. At some point in 2014, payment of the exam fee will be required to hold your seat. I’ll chair a prep class for the Judging Exam. The class will cover an overview of beer judging and scoresheet mechanics, beer styles and a doctored beer tasting session. You will write scoresheets in each class and you will be encouraged to write more on your own. Classes will be held at South Bay Brewing Supply on four Sunday afternoons in Oct and Nov 2014 from 4-7PM. Exam takers will be given preference for class seats and there will be a nominal fee to cover beer costs. Yes, drinking in class! Who wuda thunk it?